censors of their cellphones are very much effective. I am not very much satisfied with the price of this cellphone. I think apple must charge less for a cellphone like these. Battery timing of Apple iPhone XR is been very poor and people aren’t satisfied with its features. Although it’s look good but not much appreciated by the crowd. I think spending money on these types of cellphone are completely useless. One can have better quality and features cellphone in this price range. Apple IPHONE XR is quite sophisticated and stylish cellphone favorable for teenagers not for middle age people. I couldn’t find anything interesting in this cellphone apart from its funky look. Spending money on these cellphone is completely useless as per my advice. The price of this cellphone has recently come down and I would suggest people to wait more until it price falls below hundred thousand. 3 GB ram of APPLE IPHONE XR is very impressive. Apart from that camera quality is also very impressive. I think buying this cellphone is complete waste of money. Features of XR doesn’t even justify 5% of its price. I remember when the price of this cellphone was less than hundred thousand. But the hike in its price has made this cellphone useless. I am very obsessed with iPhone XR looks and I find its features very interesting as well. I would have definitely bought it if I would have afford it. An IPhoneXR look alike with no home button, looks like a crossover between Google Pixel 3 and IPhoneXR. Still expected to be a good phone but because of its inspired design and lukewarm impressing features not a great phone to be. 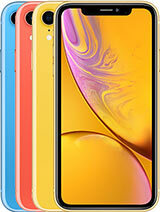 From the new Apple line up the iPhone XR is the only one that comes with such bright and enticing colors. I am pretty sure that the Apple iPhone XR has different prices for different internal space variants. Which variant is this? I haven’t seen anyone purchasing this cellphone. This cellphone doesn’t seem to be very useful rather very expensive. Spending this much of amount on this cellphone will not make any sense. One can have better option in this price range. I won’t suggest anyone to pay this much of amount for this cell phone. Price of this cell phone has been increased drastically. I didn’t like the shape and the looks of this cell phone. Features of this cell phone is also very limited comparing with its price. I am very shocked to hear that this cell phone doesn’t have portrait feature in its camera. So I don’t know why they are charging that much of amount. I don’t know why Apple has adopted a vision of quantity rather than quality. I am not very impressed with its specifications. Read 72 User reviews and comments on Apple iPhone XR - Reviews about mobile price, performance, processor details, RAM, ROM, Display battery timing, network support other Apple iPhone XR detail.